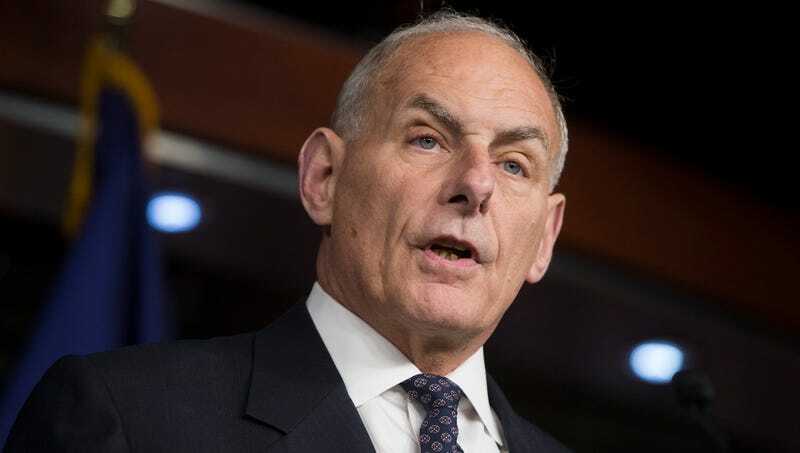 WASHINGTON—Amid criticism of how long he waited to terminate the employment of Rob Porter, White House Chief of Staff John Kelly apologized Wednesday for assuming everyone would just ignore the abuse allegations against the staff secretary the way they always do in the military. “I am deeply sorry for thinking you would all react the way I’m accustomed to and simply disregard all misconduct claims made against someone in such a powerful position,” said the retired four-star Marine Corps general, explaining that his four decades as an officer in the armed services had led him to expect people would not only turn a blind eye to Porter’s misdeeds, but also denounce his victims as liars and then punish them for questioning authority. “I’m still getting used to a leadership style where the standard approach isn’t to roundly dismiss everything the accusers say, make them apologize to their abusers, and then force them to endure excessively painful drills coupled with dehumanizing insults. But I understand now that as White House chief of staff, you can’t just look the other way every time you’re confronted with violent physical abuse against women.” Kelly went on to promise that in future cases he will act without delay, addressing abuse allegations the very moment they are leaked to the public.